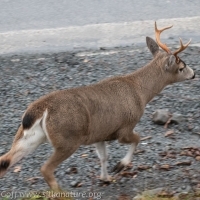 I was a little surprised this afternoon when Connor told me there were deer walking up the street. 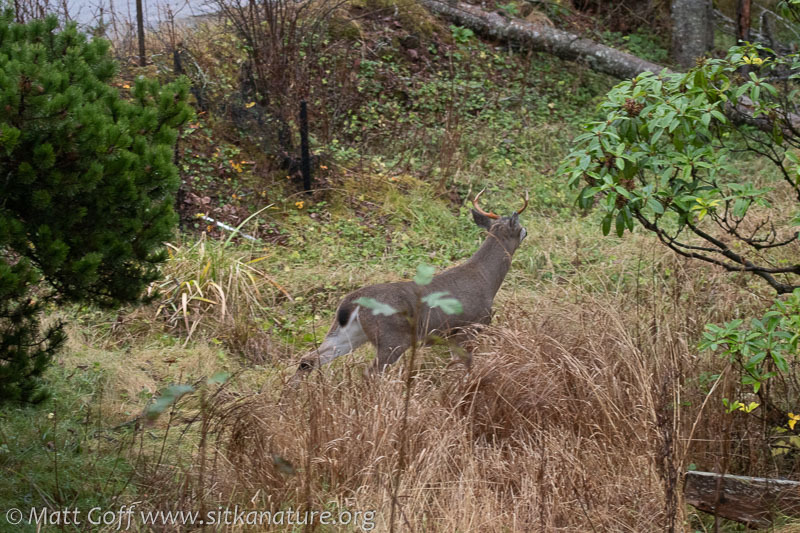 He was helping with bird banding happening in the yard, and had noticed the deer coming up Park Street towards our yard. I was working upstairs, so stepped out to take a look. 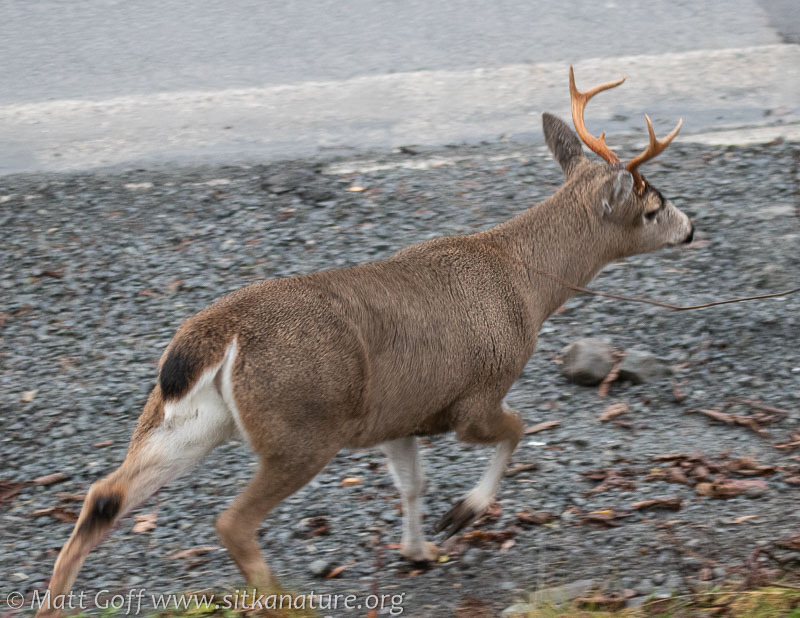 Fortunately the forked horn buck and doe didn’t come into the yard where the mist nets were set up (that could have resulted in them getting tangled), and instead walked nearly up to the stop sign on Park Street before cutting the corner below me. It turned out they walked right near my dad (who had stepped out on the porch) as they started down Sawmill Creek Road towards the National Cemetery. 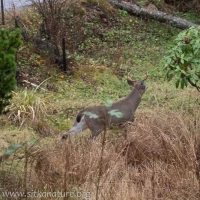 Being the middle of the afternoon, there was a fair amount of traffic, and a couple of vehicles had to stop as the deer crossed and cut through a yard and the trees towards Geodetic Way. 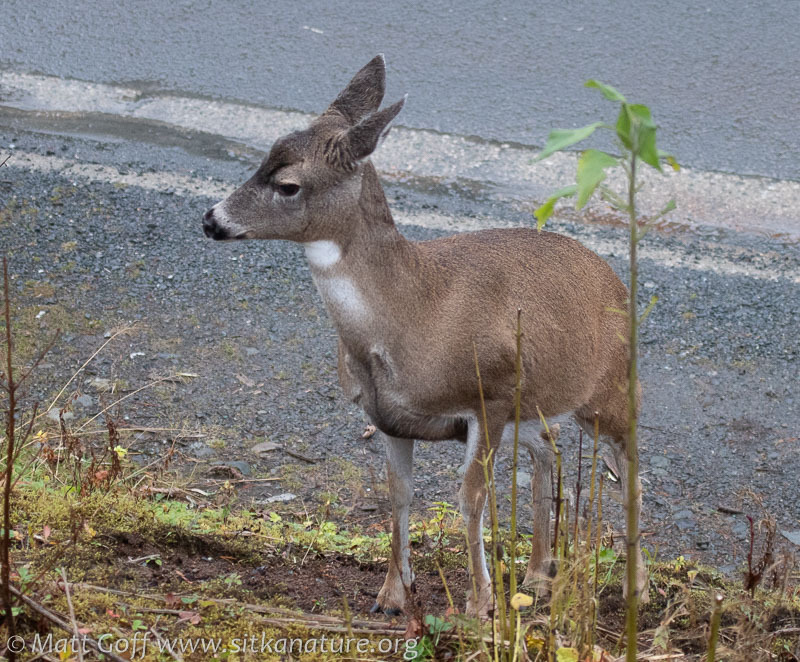 I’ve seen deer tracks and the evidence of their browsing in my yard over the past few years, as well as heard a couple of reports from others who saw deer in my yard early in the morning, but this is the first time I’ve actually seen them myself. 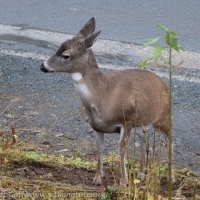 I have periodically been annoyed at the deer eating something in my yard I didn’t want eaten, so I couldn’t help but suspect these deer were looking well fed in part due to eating up the plants in my yard (and probably others’ as well).